Hello Dear Friends and Fans! This is your own Steve Sadiq. I am here with you to share another value-added and informative article with you. Today I will discuss with you about how to Reset SMC on Mac. Have you noticed that sometimes the lights of your keyboard stop working, battery indicator behaves strangely? I have also heard from people that their fan speed suddenly increases without any additional load on the Macbook. I have started thinking about and collecting information about such kind of complaints. Some people also complained about the power button not responding, whereas, some complaints were like they are not getting a proper response on led open and close. As many people who follow me and continuously read my articles know that I try on Mac and find out the solution myself. So I have started experimenting. What is SMC? Do you guys know? 1 What is SMC? Do you guys know? SMC stands for System Management Controller. This is basically the control center for minor operations that remain active during Mac use. Such minor operation may include controlling fan speed, certain indicators on Mac. Performance monitor. Backlit keyboard monitor etc. These functions make Mac stand out of the crowd. SMC is the control center of these. My knowledge, discussions, and research say that if SMC is not working properly. You might face these issues. And the only solution is to reset SMC on Mac. Now the Question arises that how to reset SMC. This is very easy and you can do it in quick and easy steps. I have a good news for you guys. A good thing about the reset of SMC is that you don’t need to reset your entire machine. You can simply reset your SMC to factory settings. This will fix the issue. I have covered all the queries in this article which were related to the SMC reset issue. Hope you will like it. MacBook or MacBook Pro doesn’t charge through its built-in USB-C port. The Mac doesn’t respond properly to the lid opening and closing. I have always suggested you this and I am going to repeat it. Safety Always 1st. This is what I always do and strongly recommend. Your data is an integral part of your life. This is one the most important asset of your life. Before performing any kind of such operations, it is strongly advised to you to take the backup of your data so that if anything goes wrong, your data remains safe. Before resetting the SMC determine whether the battery is removable or not. That is because the process of resetting SMC for the Macs that have a non-removable battery is quite different. In addition to that also keep an eye on the open application and save your work and close all applications. Sometimes a simple reboot might solve the issue but it is better to reset your SMC on Mac once you have the issue. Hope you guys have found this article very informative and useful. 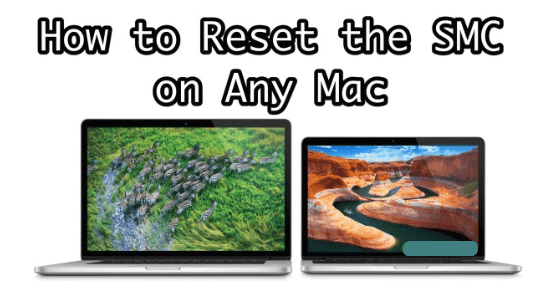 I believe that after you follow the step by step process, you will definitely learn about how to rest SMC on your Mac. In this article, we have learned that what is SMC and how to reset SMC. A summary of the article is that SMC stands for System Management Control. This basically controls the functions such as light on the keyboard, processor speed, lid opening and closing indications, battery indicator etc. If you are facing any of these issues, you can reset your SMC and hopefully, these issues will be resolved. APPLE advancements always keep on changing the Mac, so I have categorized the MacBook on the basis of battery removal. With a removable battery. Mac with non-removable battery and iMac. 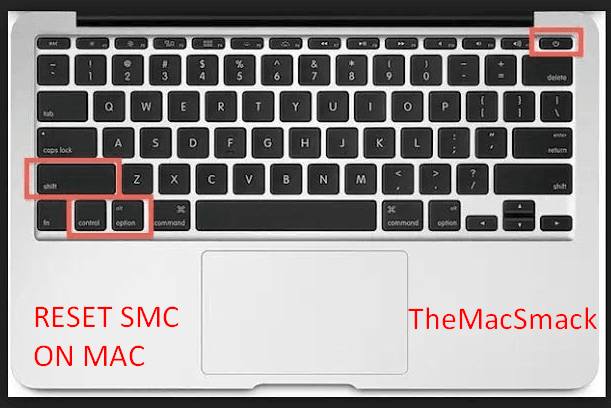 The step by step process to reset the SMC on Mac different versions is different. I have shared with you all the 3 step by step methods. Hope you will find it easy. Must try these and then write to me that did you find these methods useful. Also, do give me an honest feedback about my article. In Case of any Questions, you can ask me in the comments sections. Here it is extremely important to mention that the issues highlighted in this article might be due to some other reasons as well. Not always it is possible that these issues are only and only due to SMC malfunction. I am trying to say that majority of the times resetting the SMC usually solves the issues.